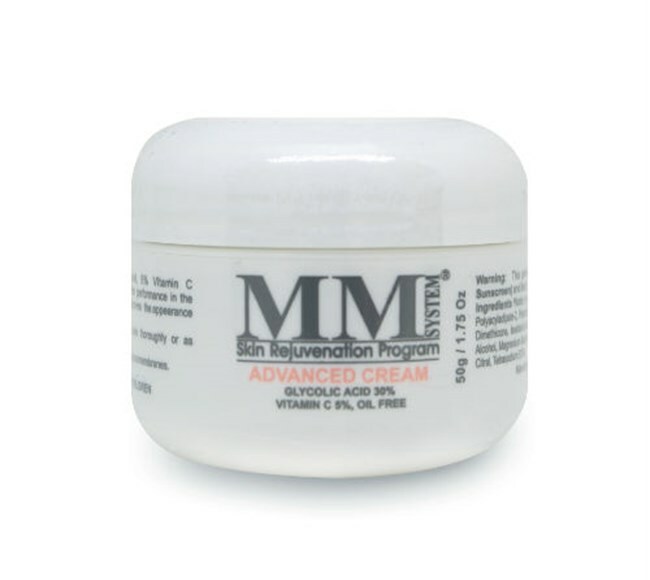 Mene & Moy Advanced Cream is a peel cream for thickened and wrinkled skin. It is effective and easily tolerated, reducing signs of ageing and smoothing the most heavily lined skin. Advanced Cream is also a night cream for thick, inelastic, aged, sun-damaged, dry or irregularly pigmented skin. Improves the appearance of scars & stretch marks. After cleansing thoroughly with Mene & Moy Facial Cleanser or Mene & Moy Face & Body Cleanser. apply every evening to the face and neck. It is advisable to apply at less frequent intervals at the beginning of the treatment. For best results, use Mene & Moy Facial Lotion C20 as a day cream. This product contains an alpha hydroxy acid (AHA) that may increase your skins sunburn. Use a sunscreen and limit sun exposure while using this product and for a week afterwards.